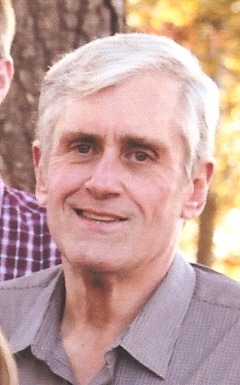 Thomas “Tom” Byrd, 65, of Norwood passed away peacefully surrounded by family on January 16, 2019. Thomas was born August 25, 1953 in Mebane, NC to the late Edgar and Vergie Byrd. He was a member of Bethlehem Baptist Church. He was retired from Stanly Interiors and had previously worked in management for Kmart for 25 years. He enjoyed fishing, reading, listening to music, watching movies, and spending time with family and friends. He is survived by his loving wife, Sheryl Justice Byrd, of the home; daughter, April Byrd Furr and husband, Seth, of Albemarle; two grandchildren, Justin and Mallory; and sister, Linda Byrd Horn and husband, Steve, of Graham, NC. The memorial service will be held at 3:00 pm on Sunday, January 20 at Bethlehem Baptist Church, Norwood, NC. Rev. Lowell Brown will officiate. The family will receive friends an hour prior to the service. In lieu of flowers, donations may be made to Hospice & Palliative Care of Cabarrus County (Tucker Inpatient Unit), the American Cancer Society or the National Stroke Association.